The Darcey Mirror reflects the beauty of its interior surroundings creating a striking focal point in any room setting. 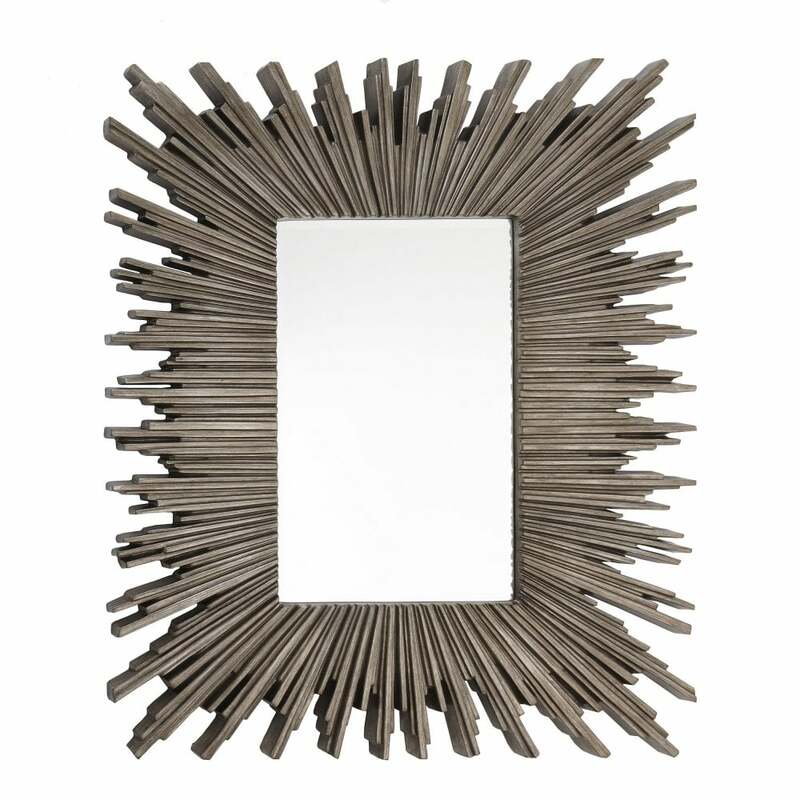 Part of RV Astley’s home accessories range, this elegant mirror is finished in a beautiful, antique silver leaf. The distinctive design presents a contemporary reinterpretation of classic Mid-Century sunburst motifs. Taking style cues from luxurious boutique hotels, this hand-sculpted piece will bring a touch of glamour to a hallway or living room. Position above a fireplace or over a traditional console table for a chic and elegant look. Make an enquiry for more information.